for the following Alfa Romeo at the front axle! Important! Always give full car details when ordering. Important! Please give full car details when ordering. Greenstuff - there have been many versions of this fabulous brake compound but the latest formulation is surely one of the finest performance brake compounds ever to be sold plus has the benefits of being a low dust material which can reduce brake dust by up to 80%. 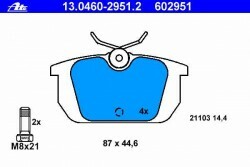 EBC Greenstuff have a friction coefficient 0.55 , withstands temperatures up to 650°C and is the ideal choice for premium pad replacement for performance use in hot hatches or for high speed motorway driving or for heavy load situations such as towing and is capable of stopping a motor vehicle 9 metres shorter than stock OEM pads. 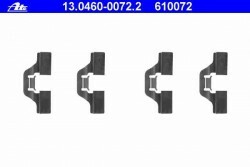 Certain part numbers in the Greenstuff range carry noise reduction shims on the reverse and all Greenstuff brake pads have Brake-In coating to the surface helps pads bed-in quickly after installation. If you ever need to make a panic stop from high speed, you will really appreciate the stopping power that Greenstuff delivers. 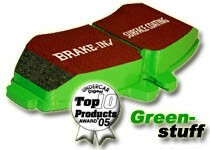 Greenstuff received the Autotrade Innovation Award and the Maxpower Award for the best sport brake pad. 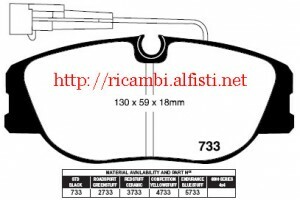 For following Models at the rear axle with Cast iron caliper! If not for aluminum caliper needed!